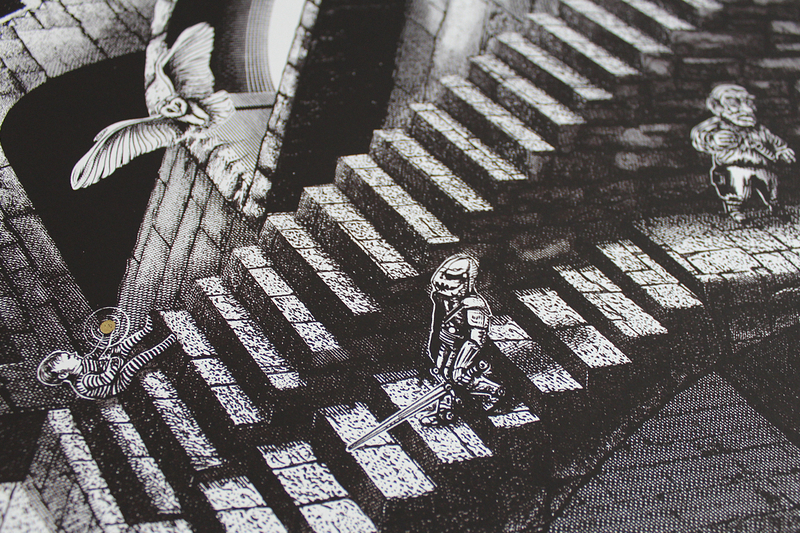 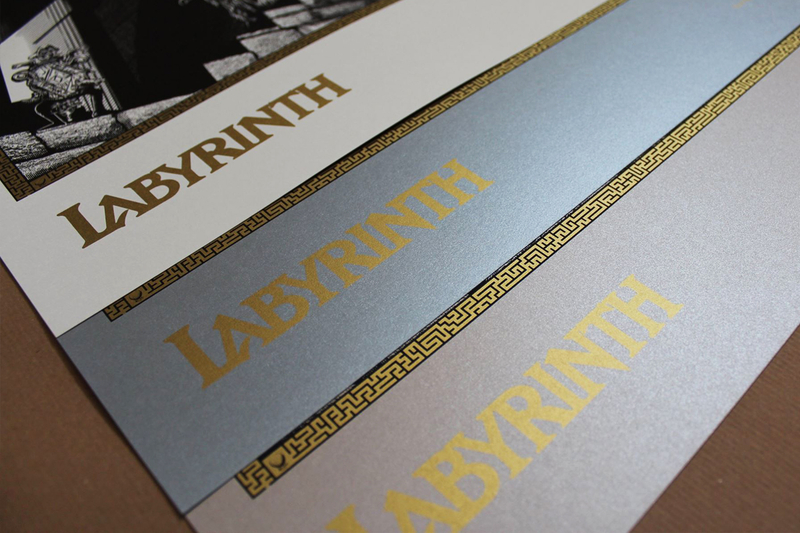 Labyrinth limited edition screen print. 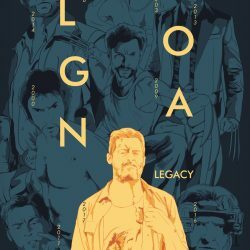 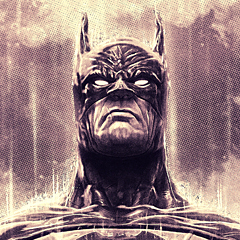 A homage to M.C. 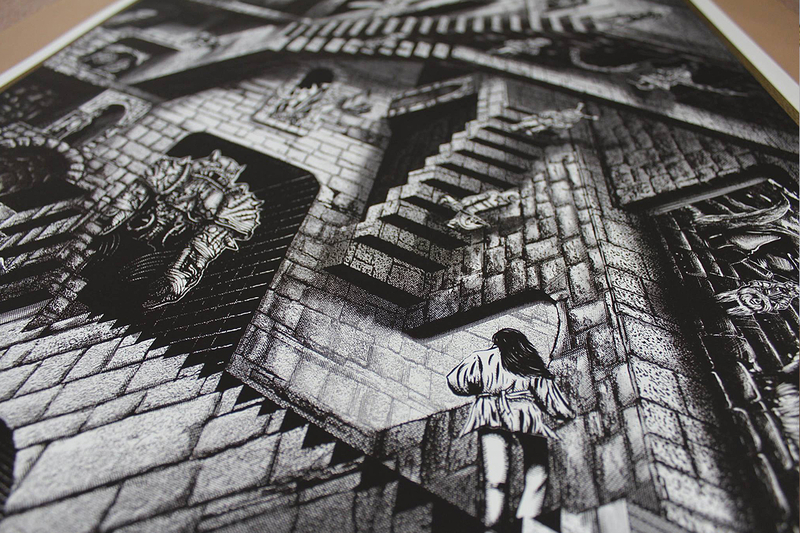 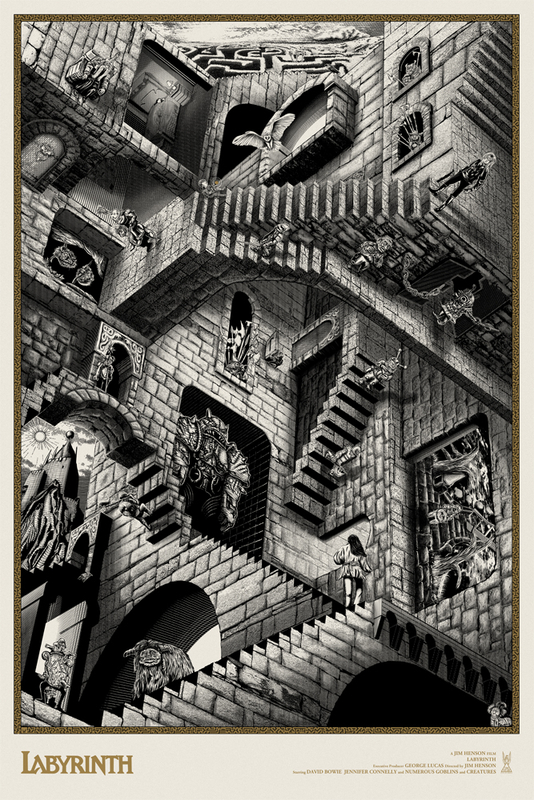 Escher who’s work heavily influenced the film. 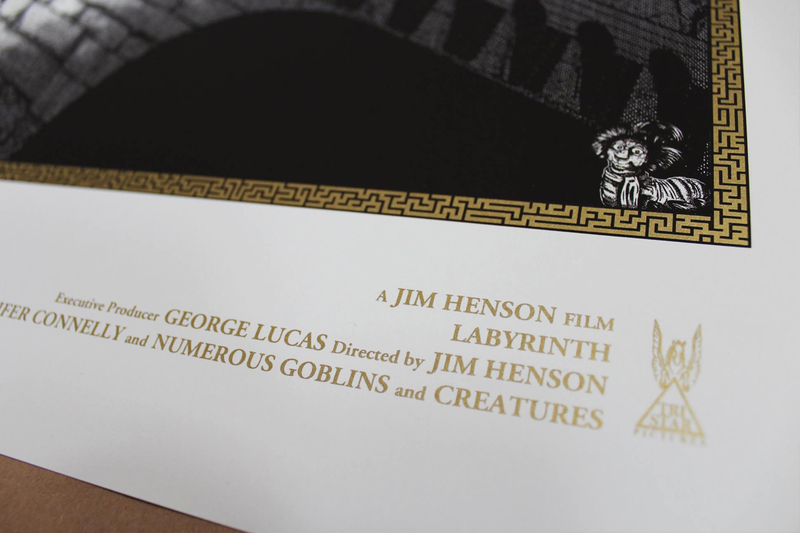 His work was also found on Sarah’s bedroom wall in the movie. 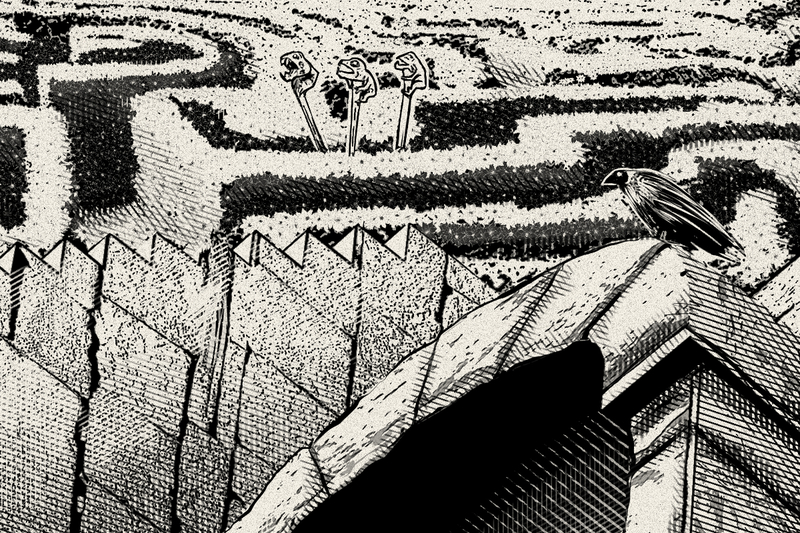 The idea behind part of this print was to have Sarah asleep in her room where she gets all the inspiration from to dream of the labyrinth and the characters she meets so we are essentially looking into her dream. 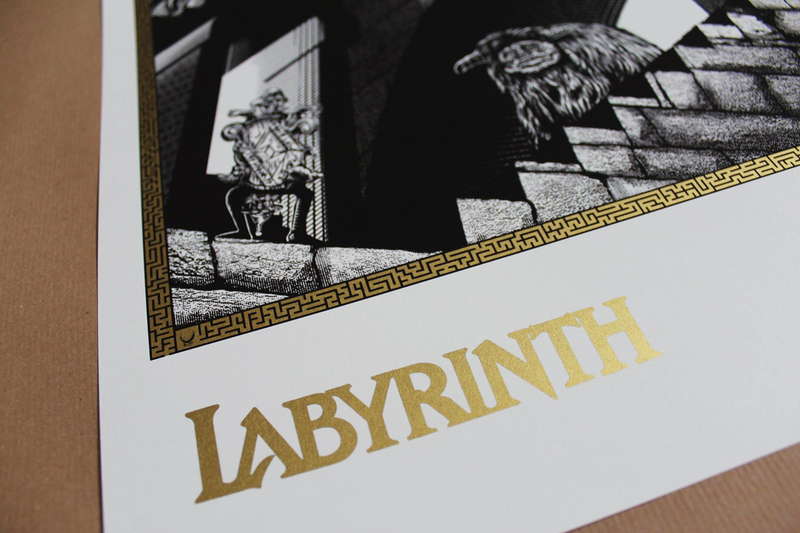 Framed by a fully working metallic ink, gold maze with a crystal ball at the end.